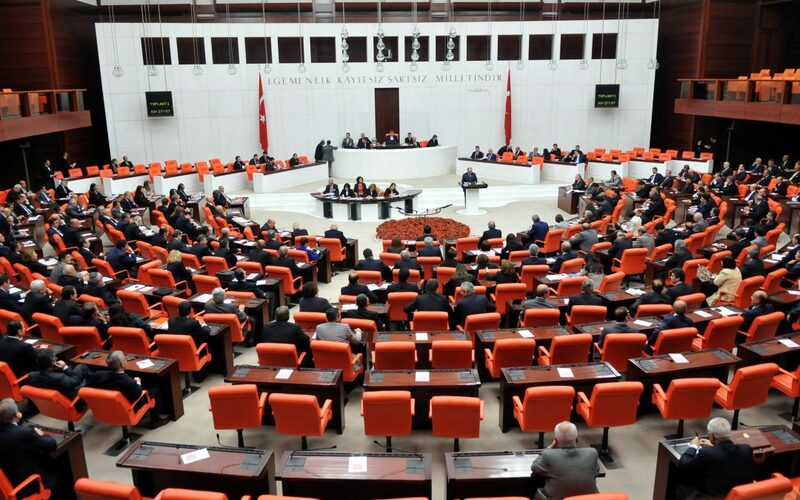 Turkish parliament on Friday passed five of the decrees issued by the Turkish government during a state of emergency declared in the wake of a military coup attempt in July to the country’s Constitutional Court for cancellation, T24 News portal reported. While the ruling Justice and Development Party (AK Party) and the opposition National Movement Party (MHP) accepted the decrees, the main opposition Republican People’s Party (CHP) and pro-Kurdish People’s Democratic Party (HDP) has rejected it. 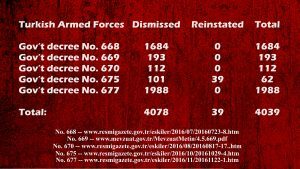 With the approval of the decrees by the parliament, a total of 79,006 public servants have been dismissed from their professions permanently, while 4039 security officers, some of the are high-ranking army officers were discharged from the Turkish Armed Forces. 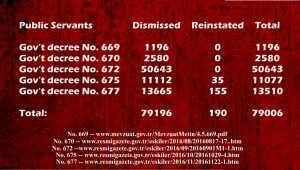 Turkish government has so far issued a total of 12 decrees since July 21, 2016. If the remaining decrees pass the parliament, the number of dismissed public servants will rise to 115,413.